If you're doing this project with young children, you can spoon some royal icing into a small zipper-lock bag, press out the air, seal it, and snip off a small corner so they can squeeze the icing onto their cookies. Or, for very young decorators, you can simply spread a thin layer of royal icing across the surface of the cookie and let them press the candies in wherever they like. In this case, be sure to do one cookie at a time, since the royal icing dries quickly. 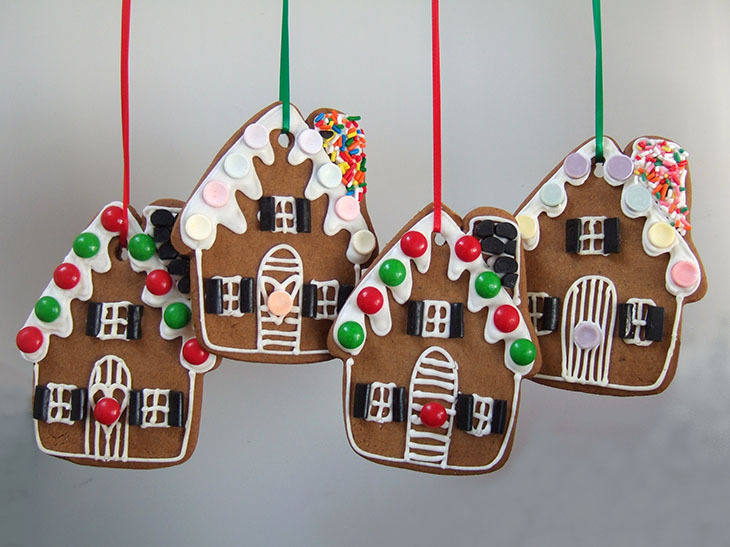 My favorite shapes for Gingerbread Cookies include the Gingerbread House cookie cutter, the Christmas Tree cookie cutter, and the Snowflake cookie cutter.